The 2L large capacity is convenient for cooking purpose. Fits snugly in the refrigerator door or vegetable compartment. Easy to grip the handle and easy to pour! 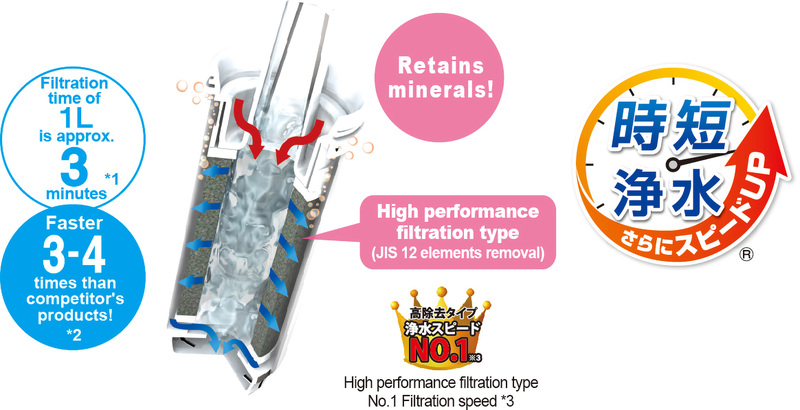 Time-saving filtration SV cartridge remains its high removal performance and better taste of water. Moreover, it is enable to filter more quickly. 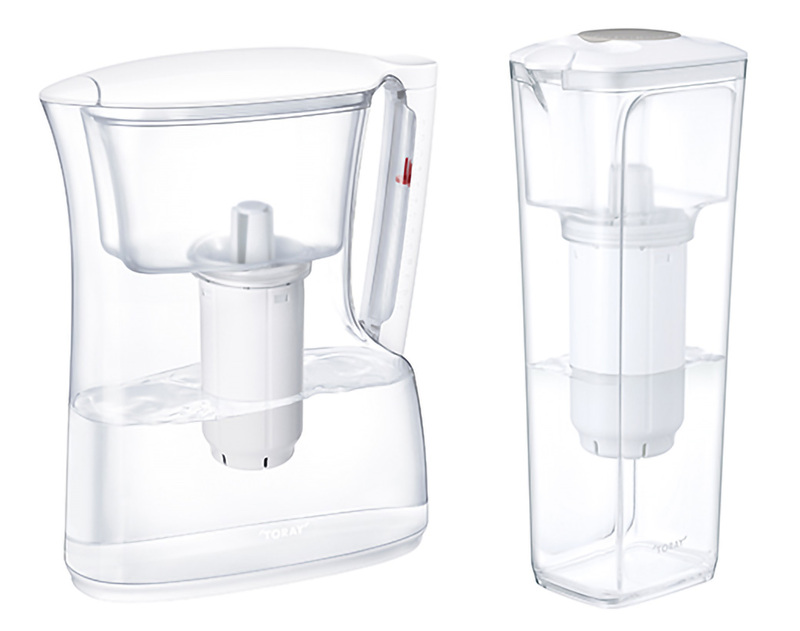 Because of quick filtration, you can use whenever you want without having worry about waiting time and the remaining filtered water. *1 The filtration time may vary depending on usage conditions such as water quality, temperature, season, geographic location, how the tap water is filled, etc. *2 When the filtration flow rate of competitor's product is 0.1L per minute. *3 Toray research: regarding the pitcher type of household water purifier which can remove over JIS 12 elements as of February, 2016. Well designed to store in the refrigerator *Not all refrigerators apply. Even 2L Large capacity, it fits snugly in the refrigerator. Sophisticated design with simple handle. Easily placing in the vegetable compartment or on the kitchen. The filter cartridge replacement indicator slider Set the slider in the handle at replacement time. The slider shows when to replace the filter cartridge. The filtration system which can extract air from the filter cartridge smoothly makes quicker filtration, still remaining its high removal performance.